What is the real purpose of prayer? Is it a way to get what we want from God, or a magical means of wish fulfillment? In this original and stunning collection of prayerful meditations, French-American writer Lyna Rose reminds us that "Prayer does not exist so that we may get our way, and God is not Santa Claus. Prayer exists so that we may align our mind and our heart with the divine order of happiness that exists deep within us, but is so often forgotten." This passionate book is rooted in the author's own life experiences as an orphan, single mother, and dedicated seeker. 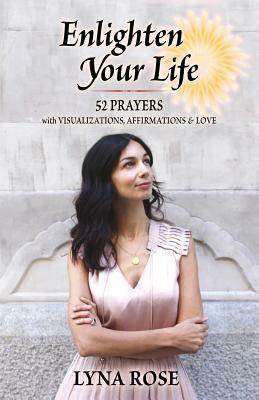 Drawing from many spiritual perspectives, Enlighten Your Life will do just that by offering powerful, well-chosen words to help you align your mind and heart with the divine happiness within. with a Foreword by Jon Mundy, Ph.D.